Made by myself, for Spring Coronation 2016. He was looking at me funny. The day of my combat archery authorization. An attempt at shooting from a tree stand. Taken at the NORVA Archery Range. A day on the range at Grimmsfield. Fletching my new arrows with the fletching jig. Typical practice at the Grimmsfield range. A fun game to play on the range. Check out my rack! Many bows! Such fun! A themed shoot at the Grimmsfield range. Rat Face is ded. D-E-D. Ded. Shooting 3D targets from a tree stand. Assisting Her Highness at Buckston Birthday Bash. One of my best shots. 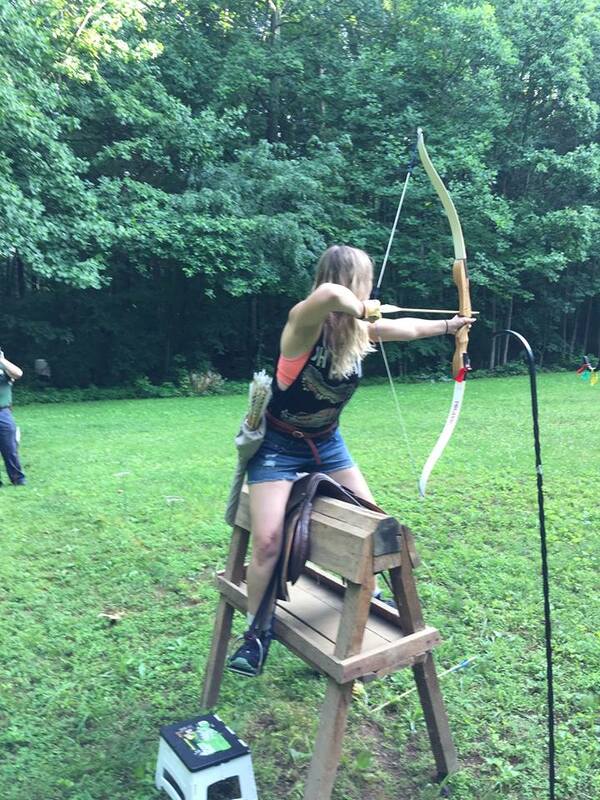 Shooting at the archery range at Pennsic. Setting up the range… dancing… the usual. Another picture from Trial by Fire archery event in Atlantia. Walking back from the range after a stop at Cafe Merhaba for an ice, cold beverage.